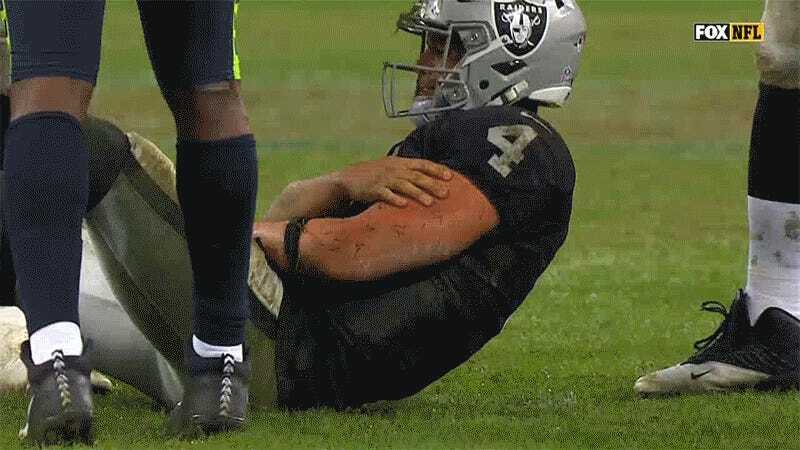 Derek Carr Denies Crying During Game: "Not One Tear. Not One Time." Hours after The Athletic reported that Derek Carr has lost the confidence of his teammates, possibly because he cried, the Raiders quarterback set the record straight: He did NOT cry. In fact, he says he did not shed a single tear. Out of either eye! At any point! There’s nothing bizarre about a quarterback crying because he got rocked and was in pain. It’s a normal human reaction to have tears come out of your eyes when you get hurt. But Carr is really trying to be a big tough football guy for his teammates, so crying is NOT acceptable, and he DIDN’T cry, okay? !